A 5-foot sandbar shark was killed after a semitruck hauling it to an aquarium in New York was involved in a crash. The 18-wheeler was transporting four sharks from Marathon, Florida, to Coney Island, New York, when it crashed just after 2 p.m. Wednesday on northbound Interstate 95 near mile marker 238 in Volusia County. The Florida Highway Patrol said a tire on the truck, driven by Gerald Barnhart, of Georgia, split open, causing the driver to lose control and crash into trees. The driver and two other passengers were not injured. SeaWorld rescuers arrived Wednesday evening to remove the surviving sharks from the wreck. 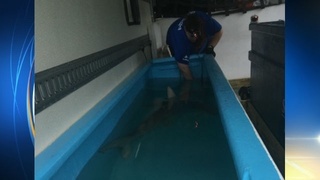 A team pulled each sandbar shark into new tanks, where they will spend the night at SeaWorld. "A truck transporting four sandbar sharks to the WCS New York Aquarium was involved this afternoon in a weather-related accident on I-95 in Florida. One of the sharks died as a result. Efforts are being made to move the remaining sharks to an appropriate facility near the site of the crash. There has been no report of injury to any person as a result of this incident. We are still receiving details on the status of the animals and situation. We will advise of further details as they become available." Florida Fish and Wildlife Officials arrived on the scene to make sure the company had permission to transport. Officials said they had the proper permits to do so. 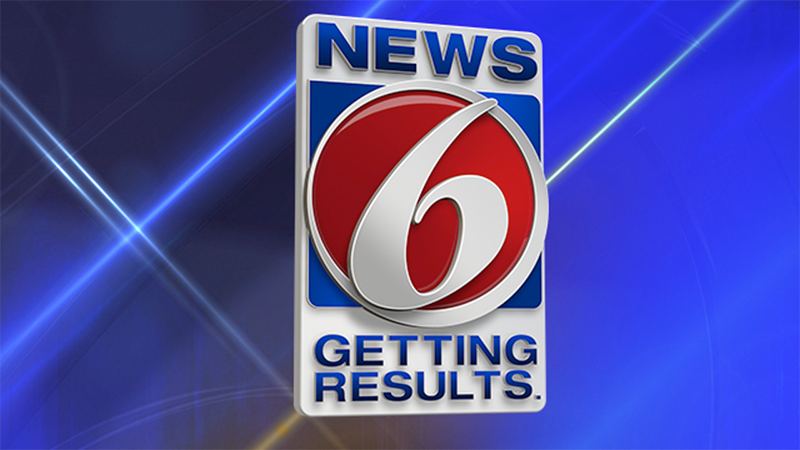 The Florida Highway Patrol is investigating the crash.